Key market from Thailand, with over 34,000 annual passengers. 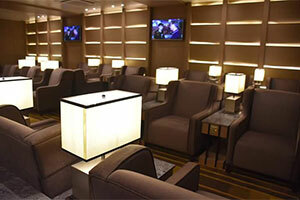 An existing opportunity with over 20,000 annual passengers. Key market from Europe, with over 53,000 annual passengers. Steady growth over the last 3years with over 59,000 annual passengers. A notable current market with over 12,000 annual passengers. 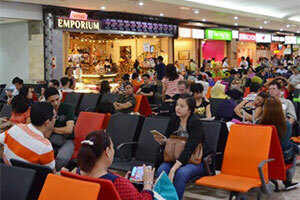 Largest Overseas Filipino Workers market with Cebu being the natural port of departure from Visayas and Mindanao. Key market from Australia, with over 48,000 annual passengers. Served on seasonal basis with 2x weekly frequencies but with potential of 8,000 annual passengers. 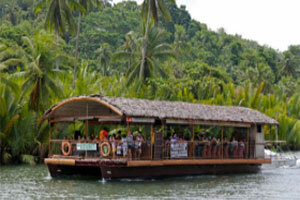 Cebu is surrounded by an array of popular islands — Mactan, Olango, Camotes, Batayan and Malapascua, making it the ideal tourist attraction. 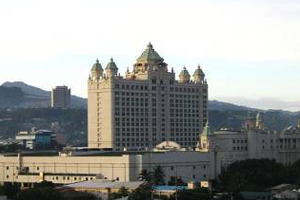 The main economic catalysts of Cebu are trade, commerce and tourism. 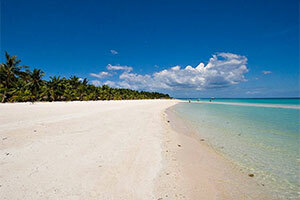 Cebu is located at the heart of Central Philippines and its main economic drivers are tourism, trade and commerce. The islands province has experienced tremendous growth in the industry of Information Technology, Furniture, Manufacturing, Ship Building and Business Process Outsourcing (BPO). 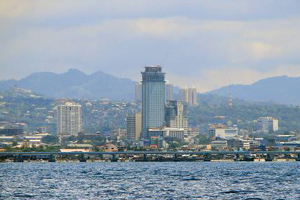 Cebu is also noted for its huge expatriate population, and attracts East Asia students to study English as second Language (ESL). 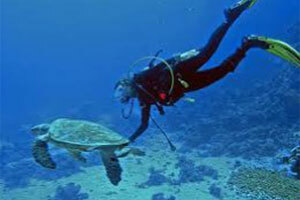 Its main edge remains to be tourism, with the resort island destination boasting its white sand beaches, adventure and natural attractions combined with metro living and a rich history. 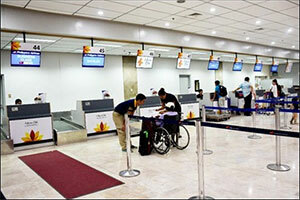 Cebu is the second busiest airport in the country. 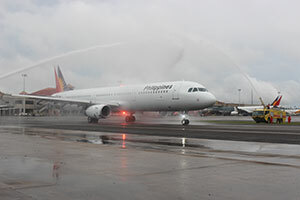 It’s an ideal launch pad to travel to Central and Southern Philippines with 23 Domestic destinations connected within 1-hour flying time. 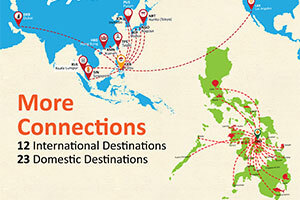 It is also connected to 12 International destinations, mostly in East Asia and South East Asia. Just recently, the airport relaunched its connection to Dubai which opens the opportunity to capture Europe traffic and also direct connection to Los Angeles. 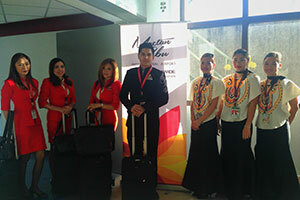 Mactan Cebu International Airport witnessed a significant growth in both Domestic and International passenger traffic. It handled around eight million passengers in 2015, representing a 16% growth over 2014 figures. In 2014, GMR (India) – Megawide (Philippines) consortium took over the operations of the airport through the Philippine government’s PPP program for 25 years’ concession. GMR is a world renowned infrastructure developer with excellent track record in transforming airport in India and overseas. 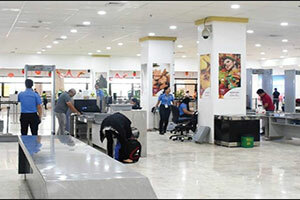 It is currently handling the development and operations of Indira Gandhi International Airport, New Delhi and Rajiv Gandhi International Airport, Hyderabad. 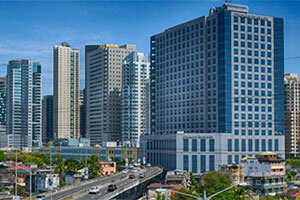 Megawide is one of the Philippines’ leading construction firms which employs advanced construction systems and technologies to deliver numerous construction projects. Together, they are building the new terminal (T2) project that will enhance Mactan-Cebu International Airport capacity to 12.5 million per annum and is expected to be completed by June 2018. 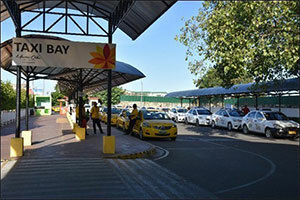 Cebu Connect is Mactan Cebu International Airport’s transfer service program. The passenger will be able to proceed to his onward journey without the need to check-in again and collect check-in baggage. 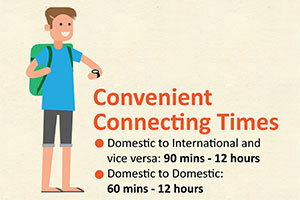 Domestic to Domestic transfer requires 60 minutes minimum connecting time while International to Domestic and vice versa requires 90 minutes minimum connecting time. 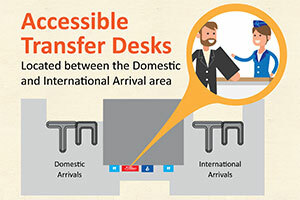 The facility can accept transfers even up to 12 hours before their flight connections. 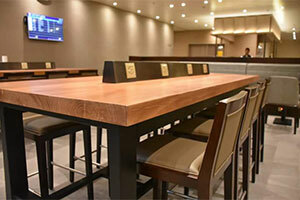 There is ample early baggage facility that can store and secure passenger baggage. 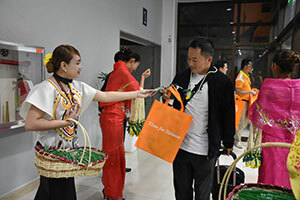 Mactan-Cebu International Airport offers soft marketing support to welcome the airlines inauguration activities and in-terminal advertising to promote the destination. Mactan-Cebu International Airport Authority has published incentives for flights that will commence not later than 31 October 2017. The Airline Incentive Program aims to encourage airlines to operate new domestic and international routes and add frequencies to existing routes. 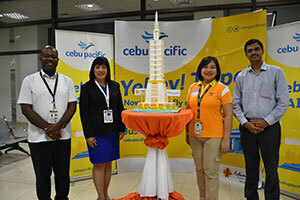 Mactan-Cebu International Airport is an ideal launch pad to connect to Central and Southern Philippines. 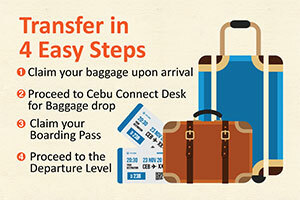 The airport has the facility of “Cebu Connect”, a transfer service product that will offer seamless onward journey connections to passengers. 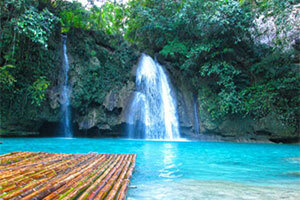 Cebu's geographic central location makes it a perfect epicentre for tourism in the Philippines. 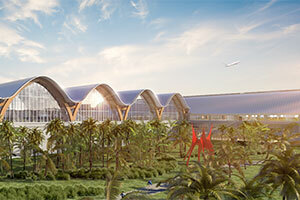 Mactan-Cebu International Airport immediate geographical catchment area includes Metro Cebu which hosts approximately 2.3mn population and the broader catchment includes its environs Bohol, Siquijor, Negros and Samar which is home to 16.1mn population. 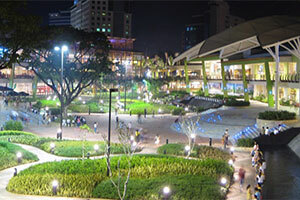 Cebu is a bustling metropolis featuring museums, universities, fine dining and shopping centres. 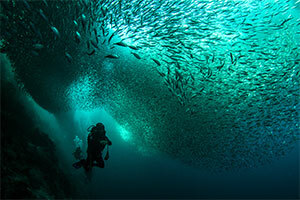 Cebu’s central location within the archipelago makes it an ideal gateway for those traveling to these surrounding islands and provinces, either by aircraft, boat or bus. 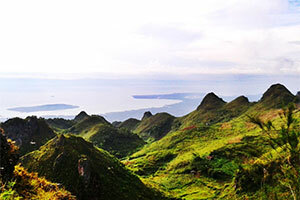 Cebu attracts tourists not only because of its beautiful natural landscapes but also because of its status as one of the most developed provinces in the country. As the oldest city in the Philippines, Cebu also contains notable historical sites including churches, temples, forts, and monuments. 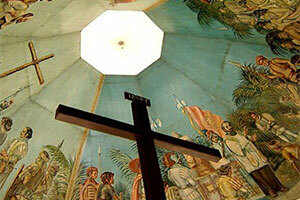 Two of the best known landmarks are the Cross of Magellan, sacred among Filipino Christians as a symbol of the birth of their faith, as well as the Basilica Menor del Santo Niño, home to the country’s first religious image — the Santo Niño (Holy Child). 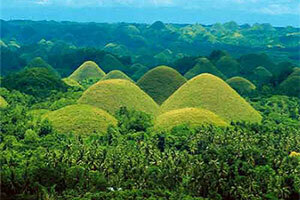 Cebu possesses a combination of outdoor beauty, cosmopolitan living, and historic Spanish charm. 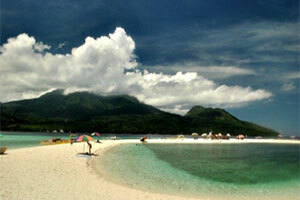 The region is renowned for its pristine, white sandy beaches, dotted with world-class resorts. 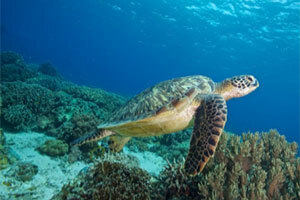 In 2007, Condé Nast Traveler Magazine named Cebu, the seventh best island destination in the Indian Ocean-Asian region. 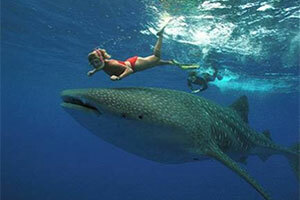 In addition, tourists enjoy wildlife sanctuaries, waterfalls, whale watching, and diving. Visitors are also drawn to the island for the many lively and colourful festivals that take place there, including “The Sinulog.” In fact, Cebu has been nicknamed as the “Island of Festivals”, due to the popularity and number of festivals celebrated there. 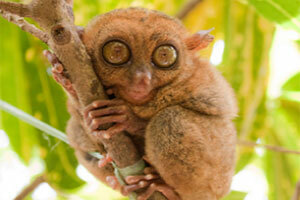 Philippines is also known for Overseas Filipinos Workers (OFWs) most of whom work in Middle East, Europe and the USA. Roughly, there are 2.4mn OFWs and 35% of them come from Central and Southern Philippines and Cebu Airport is strategically located to capture this traffic. 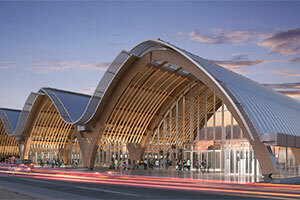 Cebu Airport features excellent potential for cargo intermodal transport. 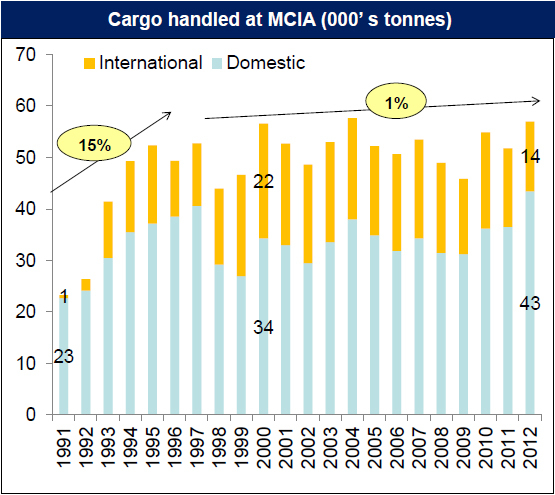 Cargo traffic at Cebu has rapidly grown over the 1991-1997 timeframe by an average annual growth rate (CAGR) of 15%; while for the following period ending in 2012, it noted a modest increase of just 1%. Noteworthy, cargo volume handled by Cebu increased by 12.3% year-on-year in Q1 of 2014. A total of five cargo operators are currently serving Cebu: FedEx Express, 2GO, Pacific East Asia Cargo Airlines, Tri-M.G. 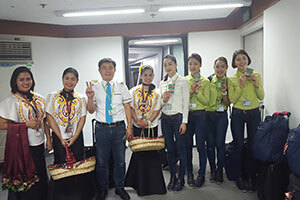 Intra Asia Airlines and TransGlobal Airways. 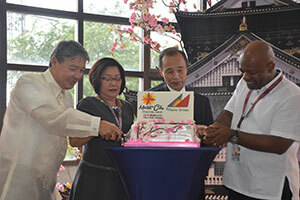 GMR-Megawide Cebu Airport Corp. bares the transformation it has made to help improve passenger experience, among these include the additional flights out of Cebu, terminal enhancements and increased passenger throughput. In July 2015, work on the New Terminal Project at Mactan International Airport has started with targeted completion by June 2018. The consortium of India-based GMR Airports and Megawide Construction Corporation have revealed the design of the “world's first resort airport”. 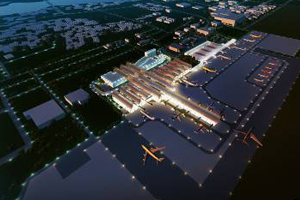 The project will modernise the country's second busiest airport by building a new international passenger terminal as well as by expanding its existing terminal facility. 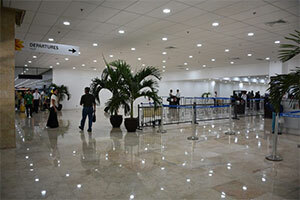 Mactan Cebu International Airport is located in Mactan Island in Cebu Province, 12 kms from the Center of City. 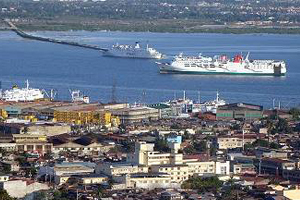 Mactan Island is connected to the City of Cebu by two bridges. 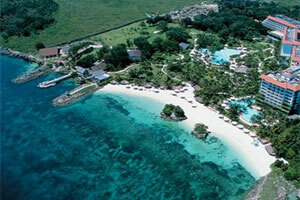 Airport is about 30 mins away from Cebu City business district. It covers 797 Ha of land. 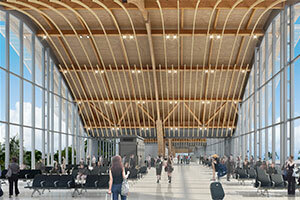 Floor area will be expanded by 7,800 metres square, up to a total of 46,362 metres square. Major overhaul of passenger areas will include: relocation and expansion of offices and toilets; a centralised security area; a common single gate hold area; and refurbishment of many other facilities. 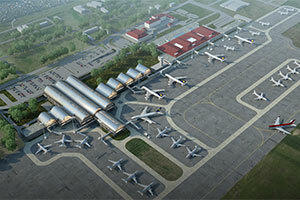 Major overhaul of baggage handling system will include: three new elevators and one new escalator. 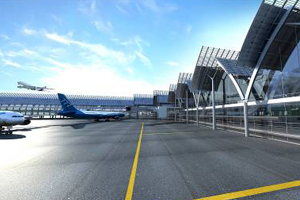 Forecourt area at arrival level will be developed as an “airport village” with canopy cover. 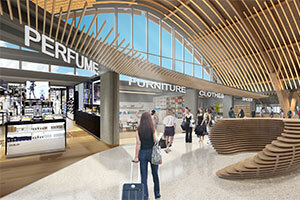 Departure forecourt to be opened up by altering the facade, to facilitate an “open terminal” concept. 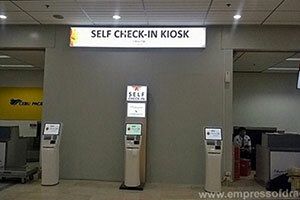 Three-level in-line baggage screening system and standalone goods screening system. 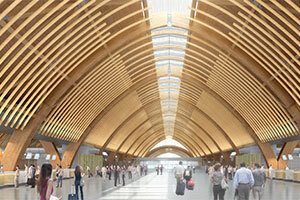 New terminal featuring three levels with a two-sided pier spread over an area of 43,398 metres square. Six gates designed to service 90% of international flights through air bridges. 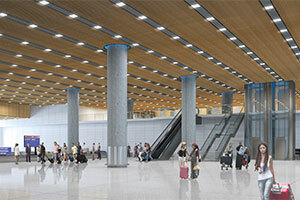 Four baggage carousels, 14 escalators and 12 elevators planned. Two-level curbside access to Terminal 2, with separate ramp for departure level. Canopy coverage for airport village, ramps and taxi parking. A centralized airport operations coordination centre (AOCC) will be the backbone of all operations. State-of-the-art MEPF plan integrated with a building automation system. Highly scalable and reliable IT systems will be installed in Terminal 2, namely CCTV coverage, access control system, information kiosks, CUSS, EPOS, AODB, BRS etc. 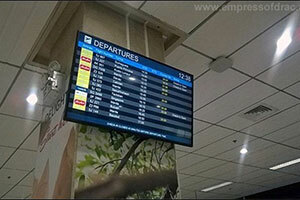 IT systems of Terminal 1 will also be significantly upgraded.